Is Tuscany really all that green? 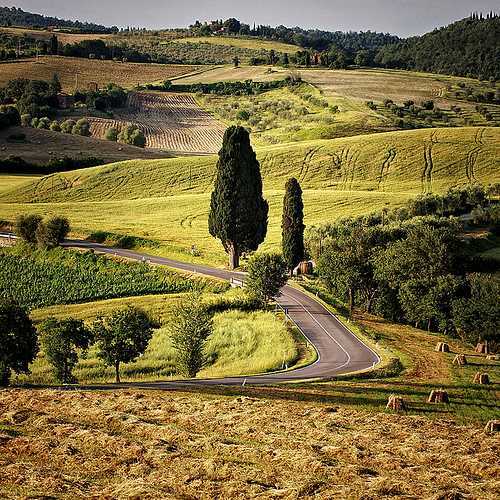 The Tuscan countryside is the type of landscape most people´s dreams are made of. 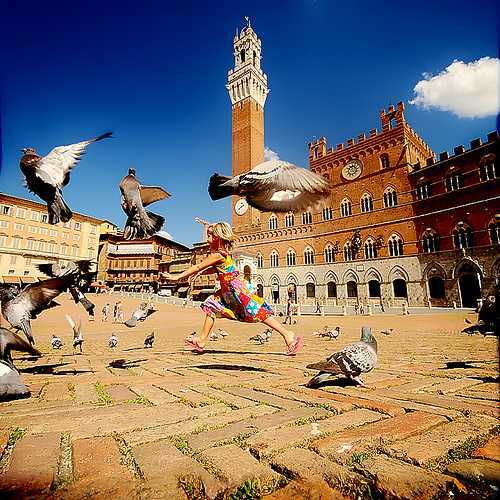 Undulating green hills, century-old towers and narrow cobblestone paved villages, sunflower fields, traditional cuisine – ingredients that have made Tuscany the prestigious tourist destination that has been since the late nineteenth century. Many tourists today, in selecting their holiday location, add another factor to the equation, a factor that a decade ago was highly neglected – the environment. This is certainly good news but the sad truth is that the majority of travellers are not aware of the impact their very presence has on the chosen destination. If we continue exposing our planet to the effects of mass tourism and to the effects of a holiday-maker that bear no respect for the local ecosystem most destinations will not be able to sustain such pressures. Italy presents some clear examples of how intrusive tourism can negatively affect a destination, Venice being the most obvious of all. In this world heritage site, the effects of ¨touristification¨ are now nearly irreversible with approximately 20 million annual arrivals having to be supported by a local population of 60,000 people. As Henry James complained already more than a century ago: “though there are some disagreeable things in Venice there is nothing so disagreeable as the visitors.” For decades, conservationists have warned about the impact of mass tourism in the city. Apart from the obvious environmental effects like water pollution, excessive wastage, destruction of artistic heritage, tourists in large numbers are also driving up real estate prices as palazzi get bought up and converted into tourist accommodation. 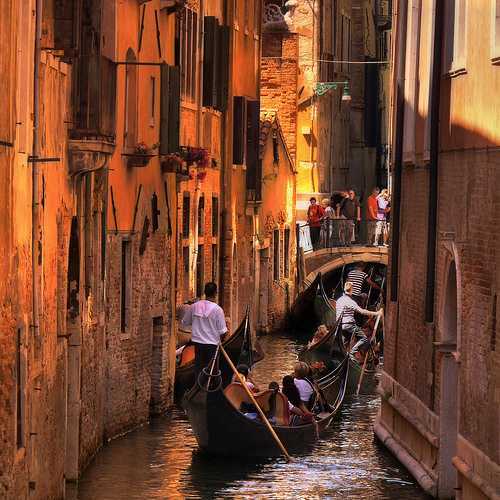 Native Venetians are driven to the mainland and the city has become a museum that caters to every tourist´s whims. 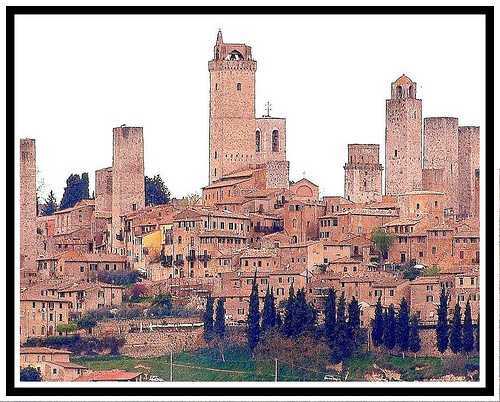 San Gimignano, in Tuscany, is another example – a stunningly well-preserved walled medieval town that is home to only 7,000 residents now having to cater for 3 million visitors each year. If efforts to create a sustainable tourist industry are to be successful, there needs to be a two-way street, particularly in high-tourist traffic areas like Italy. Tourists need to learn to be as non-intrussive as possible, yes, that´s a given, and education plays a crucial role here. But local entities have to commit to support and implement environmental practices as well. Investigative journalism has revealed that most of the recyclable items and trash in Rome, for example, ended up in the same place. Sewage treatment plants have only begun to spring up around Milan in the past decade or so – previously, it simply was flushed into the river Po. There needs to be serious regulations put in place that prevent greenwashing, a practice initially coined by New York environmentalist Jay Westervelt in a 1986 essay regarding the hotel industry’s practice of placing placards in each room promoting reuse of towels ostensibly to “save the environment.” As he pointed out, hotels invested more money in promoting their green label rather than spending resources on environmentally sound practices. That aside, the tourism industry in Italy has invested a significant effort to protect the resources of a country where visitor spending accounts for a whole lot of the nation’s income. Rural Tuscany is regularly credited with leading the charge for sustainable tourism and many hotels in Florence, Siena, and other Tuscan cities, as well as higher-end agriturismi in the countryside, have implemented standard green practices. Some properties have used only natural materials in the restoration, others have chosen sustainable power to run the house, some recycle rain water, others have chosen building materials and methods that reduce power usage in winter like floor heating. Some owners keep an organic garden at the house (with all that entails, like avoiding transportation and petrol costs), others use strictly natural cleaning products on the premises. But generally, most of them comply with standard green practices like reusing towels and bed sheets, installing low-flow toilets, providing guest room recycler baskets/bins for newspaper, white paper, glass products, aluminum cans, cardboard, and plastics and using earth-friendly detergents. The food offered in most restaurants in central Italy generally comes directly from local farms thus sparing you from food additives and other added unpleasantness. Towns and provinces have been pushing for more intercity cycling paths to connect tourist sites. More could certainly be done to protect this privileged part of the world. For instance, there is no doubt that most travelling families with luggage will need a car to get around the Tuscan and Umbrian countryside – but to get a perspective of the effect their movement will have on the region, think about the 14 million tourists that visit Tuscany every year, divide that number by an average of four passengers for cars and you have nearly four times more the number of cars on the roads of Tuscany. If using public transport is not an option for you and your family, there are other things you can do like reusing towels, cycling, discarding trash and recyclables in the appropriate white and blue bins around the region, and eating locally grown produce. And don’t shy away from Central Italy’s tap water; it’s very good. One thing seems to be true though – finding information on green agriturismi is not an easy task. You can start with booking sites like http://en.agriturismo.com and http://www.farmholidaystuscany.com but you´d have to trust their green claims. I would recommend you visit Pure and Authentic Holiday Rentals as the writers spent a few months travelling around Italy meeting Italian owners of holiday accommodation who are sensitive to ecology. And once you have the chance to get there, remember to be a sympathetic tourist and respect the natural and cultural treasure that is Tuscany. Previous Previous post: Should we not leave the final Antarctic frontier alone?